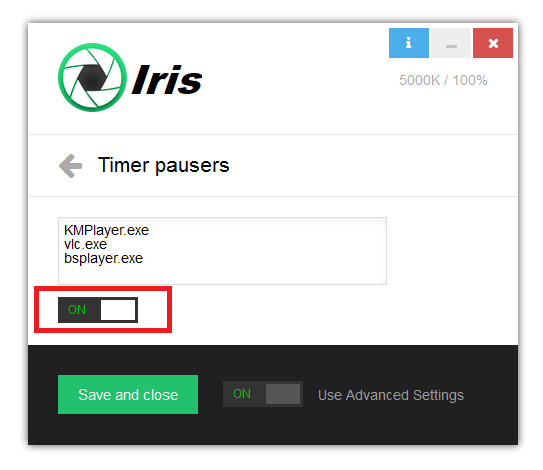 Timer pausers are way to pause Iris timer when certain programs are running. 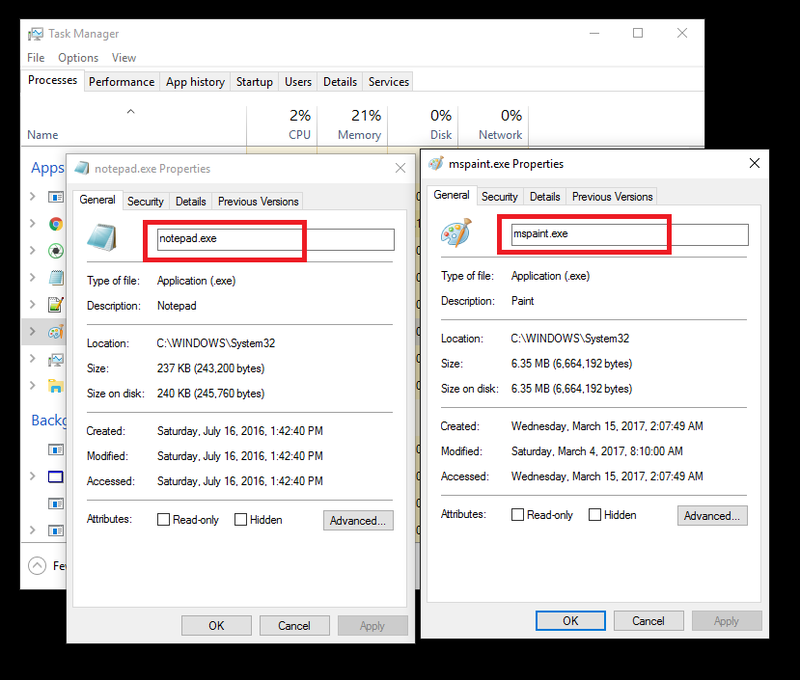 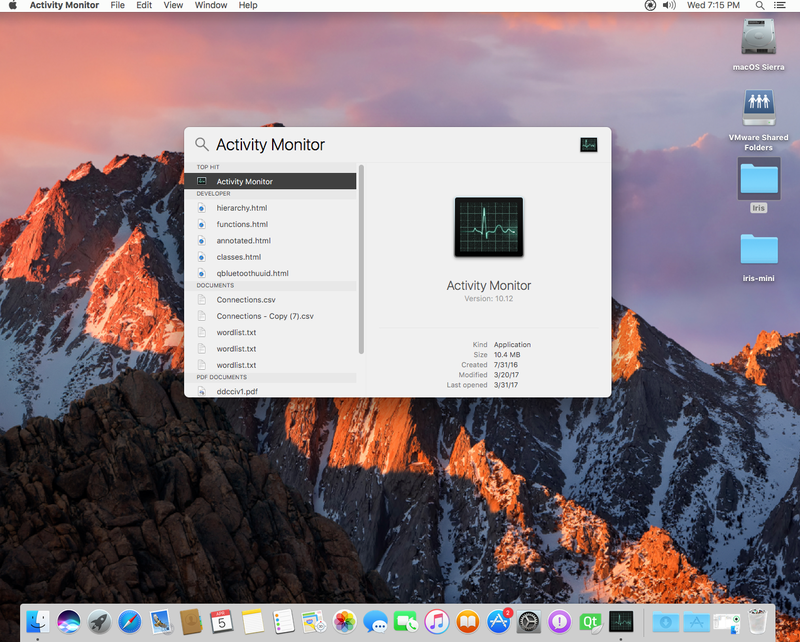 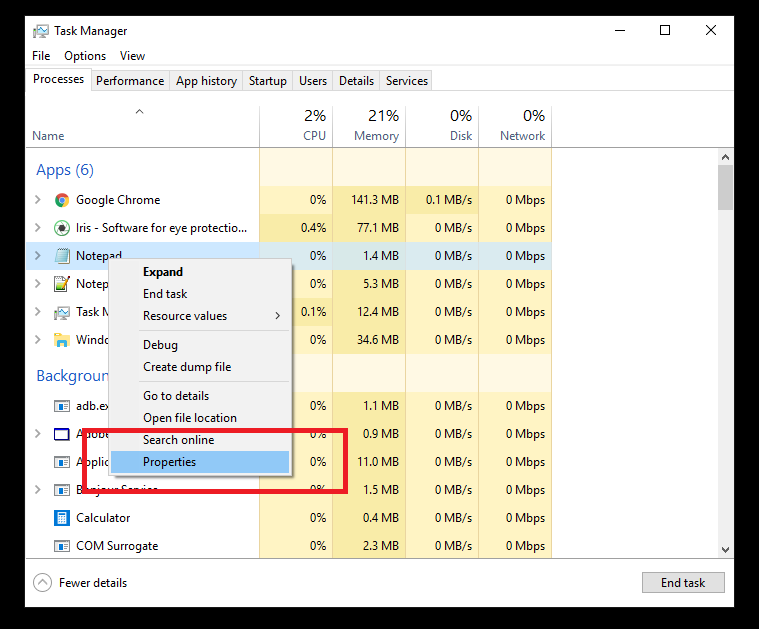 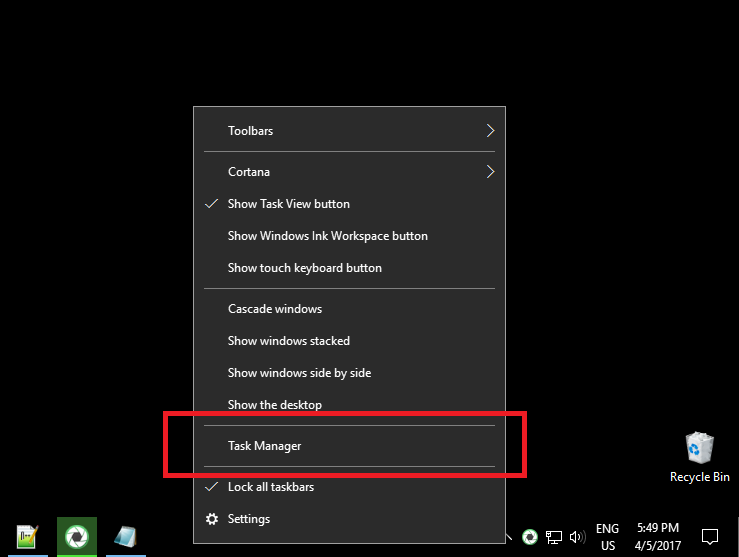 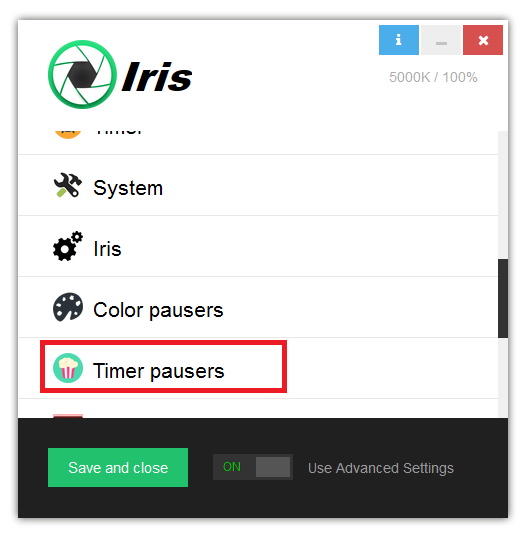 This is usefull when you watch movies for example and don’t want the Iris rest screen to appear and interrupt your pleasure time. 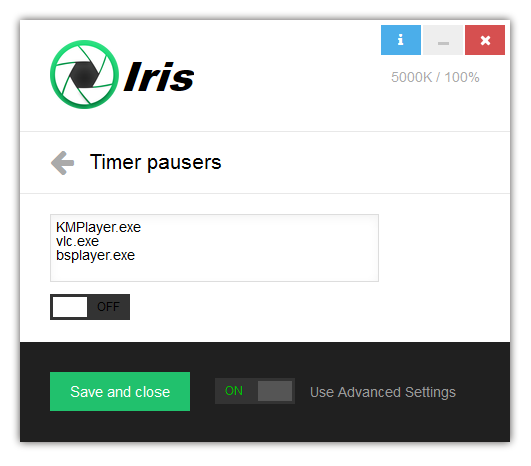 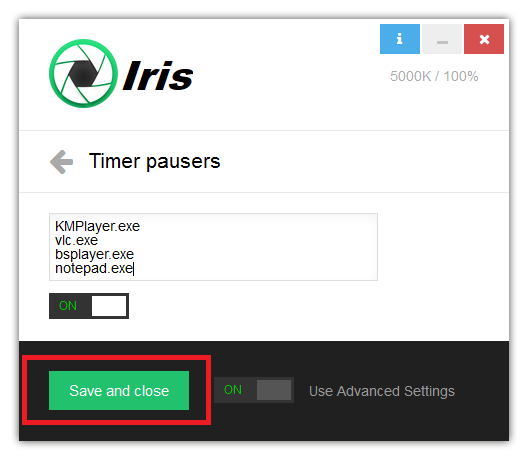 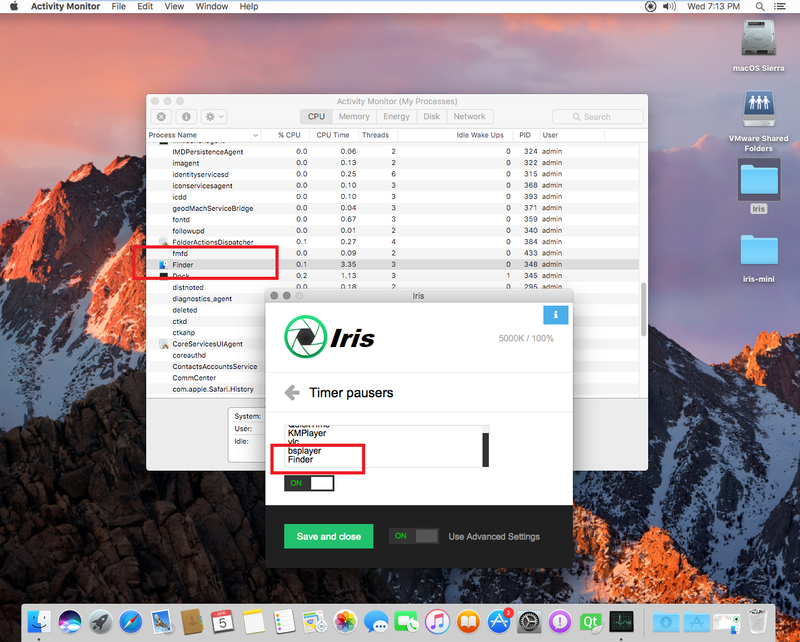 Then just enter this into Iris Timer pausers text area.